DaChaun cemented his reputation as one of the Chicago area’s top rebounders as a Leo senior, averaging 12.2 rebounds per game. He also developed into a potent scorer, averaging 19.3 points per game on 64 percent shooting. For this he achieved Class 2-A All-State recognition, as well as All-Chicago Catholic League, All-City and All-Area in the Chicago Sun-Times and All-Tournament at the prestigious Proviso West Holiday Classic. 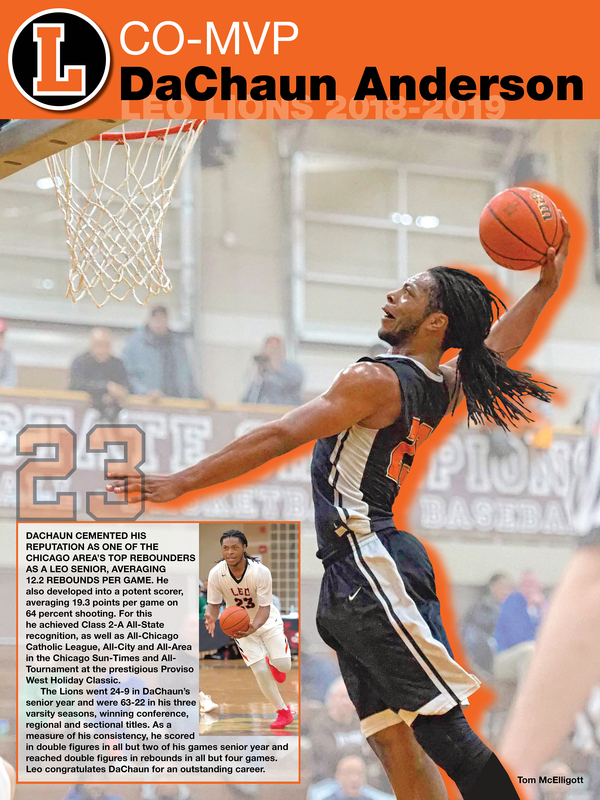 The Lions went 24-9 in DaChaun’s senior year and were 63-22 in his three varsity seasons, winning conference, regional and sectional titles. As a measure of his consistency, he scored in double figures in all but two of his games senior year and reached double figures in rebounds in all but four games. Leo congratulates DaChaun for an outstanding career. 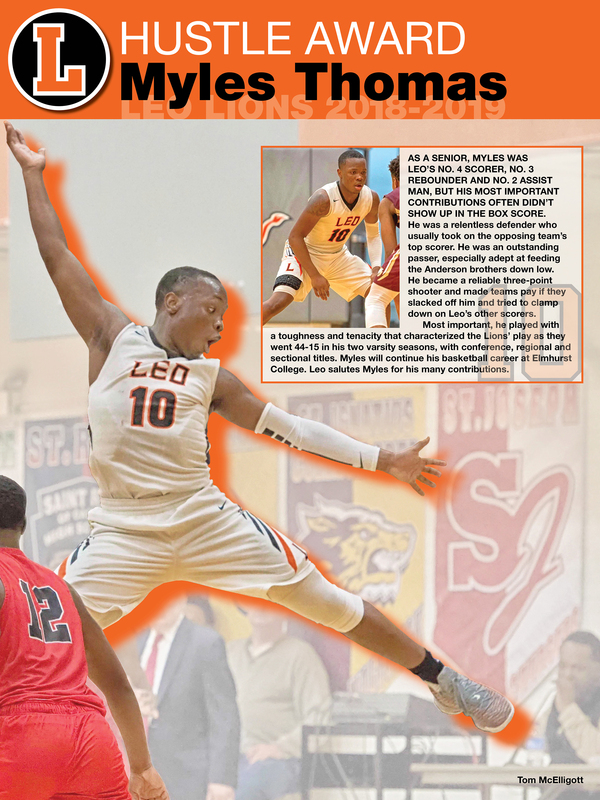 Malcolm Bell’s electrifying three-point shooting was a crowd-pleasing factor in the Leo Lions’ 20-6, conference-championship season in 2017-18. Leo’s No. 3 scorer, Malcolm hit 36 percent of his three-point shots, many of them in flurries from well beyond the arc. The Lions were 39-14 in Malcolm’s two seasons as a varsity starter. Fred completes his Leo career as one of the most decorated players in school history: two-time Class 2-A All-State, two-time All-Catholic League first team, All-Area in the Chicago Sun-Times, two-time member of the All-Tournament team at the Washington Invitational, winner of the Lawless Award as Catholic League White Division Player of the Year. 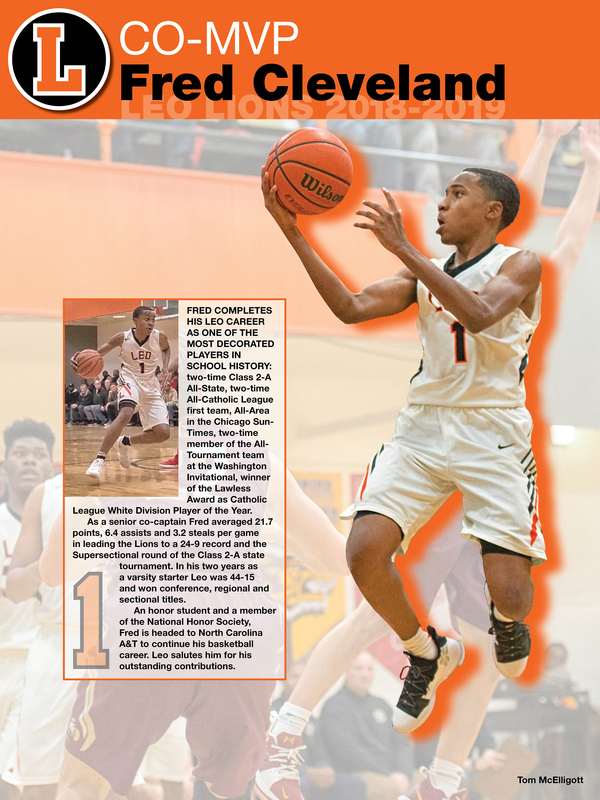 As a senior co-captain Fred averaged 21.7 points, 6.4 assists and 3.2 steals per game in leading the Lions to a 24-9 record and the Supersectional round of the Class 2-A state tournament. 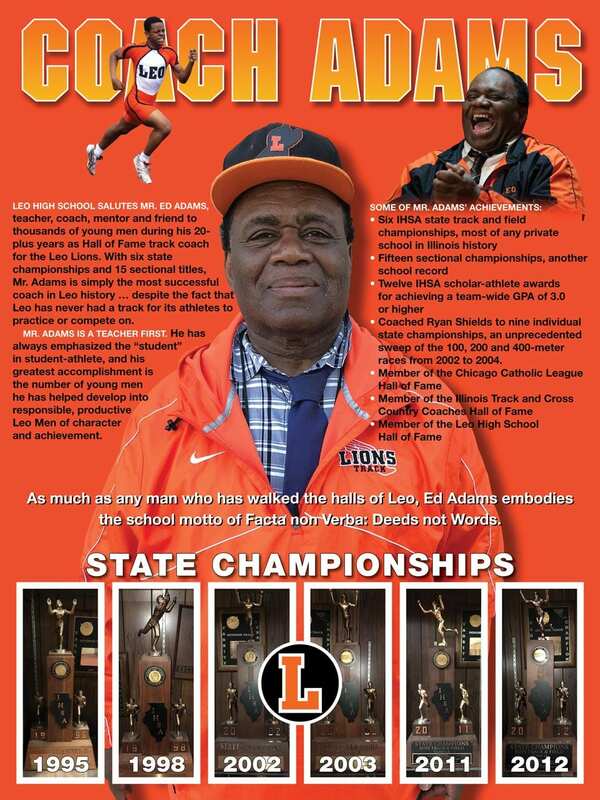 In his two years as a varsity starter Leo was 44-15 and won conference, regional and sectional titles. An honor student and a member of the National Honor Society, Fred is headed to North Carolina A&T to continue his basketball career. Leo salutes him for his outstanding contributions. Competing at 138 pounds, James finished as runner-up in the 2018 Class 1A state finals. 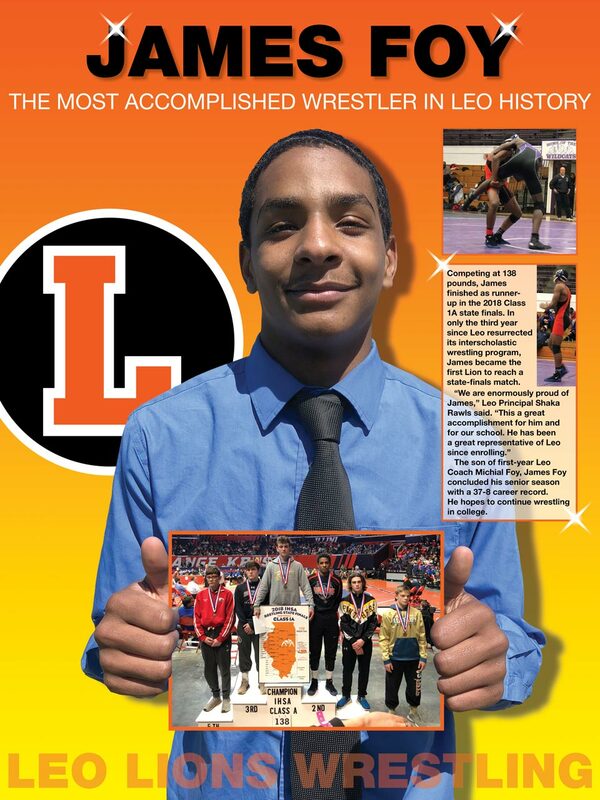 In only the third year since Leo resurrected its interscholastic wrestling program, James became the first Lion to reach a state-finals match. The son of first-year Leo Coach Michial Foy, James Foy concluded his senior season with a 37-8 career record. He hopes to continue wrestling in college. 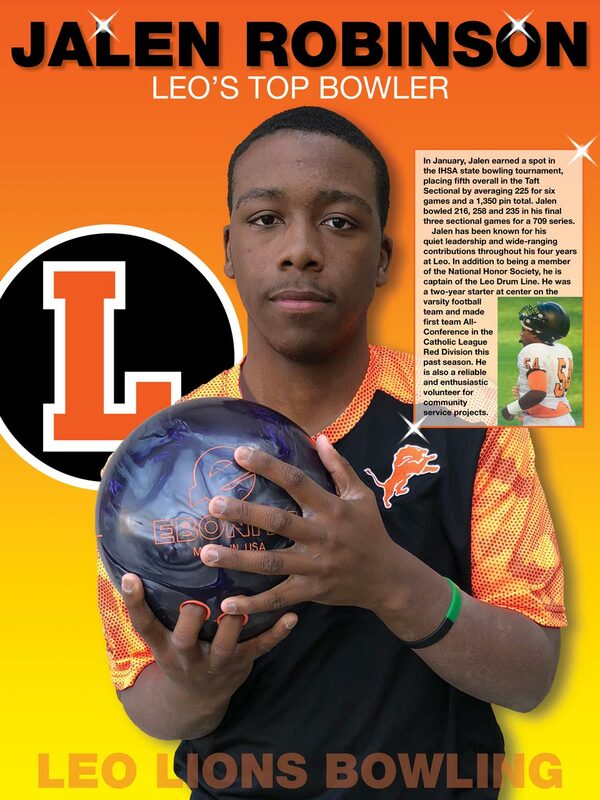 In January, Jalen earned a spot in the IHSA state bowling tournament, placing fifth overall in the Taft Sectional by averaging 225 for six games and a 1,350 pin total. Jalen bowled 216, 258 and 235 in his final three sectional games for a 709 series. Jalen has been known for his quiet leadership and wide-ranging contributions throughout his four years at Leo. In addition to being a member of the National Honor Society, he is captain of the Leo Drum Line. He was a two-year starter at center on the varsity football team and made first team All-Conference in the Catholic League Red Division this past season. He is also a reliable and enthusiastic volunteer for community service projects. As a senior, Myles was Leo’s No. 4 scorer, No. 3 rebounder and No. 2 assist man, but his most important contributions often didn’t show up in the box score. He was a relentless defender who usually took on the opposing team’s top scorer. He was an outstanding passer, especially adept at feeding the Anderson brothers down low. He became a reliable three-point shooter and made teams pay if they slacked off him and tried to clamp down on Leo’s other scorers. 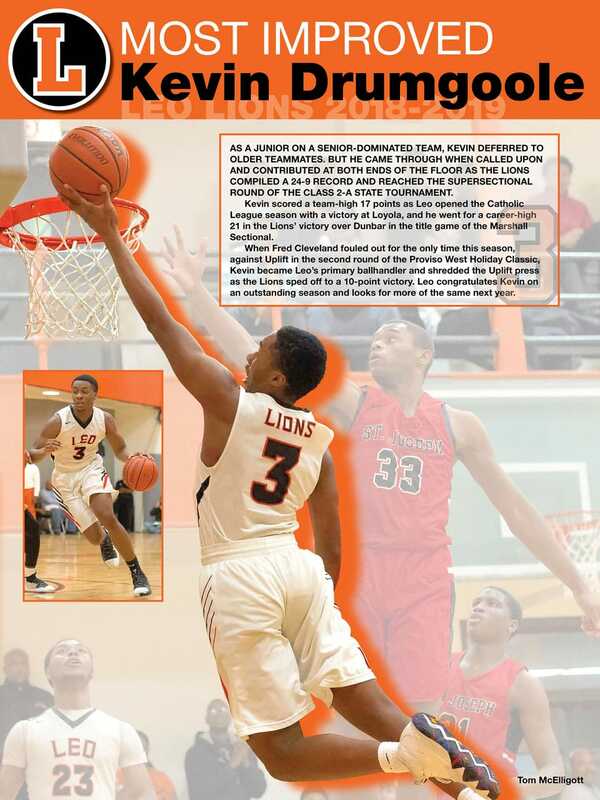 Most important, he played with a toughness and tenacity that characterized the Lions’ play as they went 44-15 in his two varsity seasons, with conference, regional and sectional titles. Myles will continue his basketball career at Elmhurst College. Leo salutes Myles for his many contributions. As a junior on a senior-dominated team, Kevin deferred to older teammates. But he came through when called upon and contributed at both ends of the floor as the Lions compiled a 24-9 record and reached the Supersectional round of the Class 2-A state tournament. Kevin scored a team-high 17 points as Leo opened the Catholic League season with a victory at Loyola, and he went for a career-high 21 in the Lions’ victory over Dunbar in the title game of the Marshall Sectional. 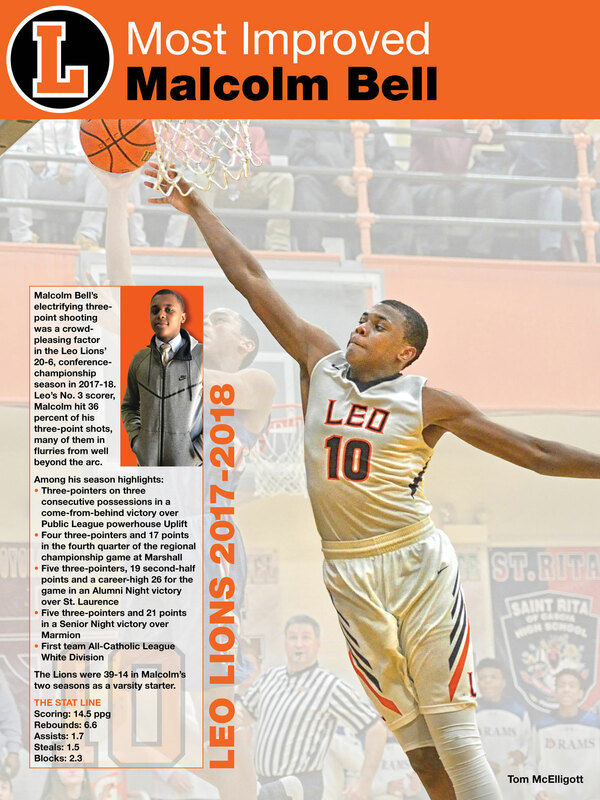 When Fred Cleveland fouled out for the only time this season, against Uplift in the second round of the Proviso West Holiday Classic, Kevin became Leo’s primary ballhandler and shredded the Uplift press as the Lions sped off to a 10-point victory. Leo congratulates Kevin on an outstanding season and looks for more of the same next year.